What is Wireless Device Testing? 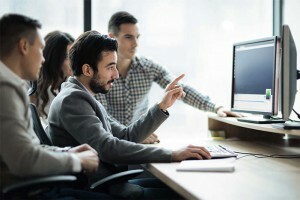 They’re an indispensable part of our world, responsible for everything from keeping us connected to the Internet to allowing smart grid devices to communicate seamlessly. Wireless devices face few obstacles on the horizon, so the market for wireless certification and testing will only increase in demand. And there is so much to consider for wireless testing. Think of the focus on end-users: How well does your Bluetooth® phone connect to your car? Can you easily set up an ad-hoc network with your 802.11n products? Can your wireless in-home display connect through a brick wall to your smart meter? You’re about to find out. NTS testing covers compatibility, functionality, interoperability, performance, and competitive analysis. An NTS-operated FCC-certified Telecommunications Certification Body (Elliott TCB) can expedite formal grant of approval and get your product to market quickly. 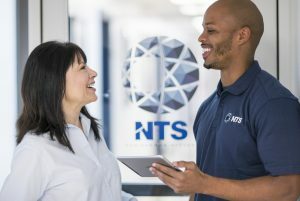 NTS is one of the few labs to offer Dynamic Frequency Selection (DFS) testing services to manufacturers of 802.11(a/n) devices and other wireless technologies that operate in the 5GHz range. NTS innovation teams live in the future; working to meet the needs of radio device developers who are currently working on the wireless technologies of the future. NTS also covers areas that have direct implications for wireless products. Interference testing is one of those categories. We can test your device using custom “mini-homes” built with drywall, brick or other materials to evaluate how well your device performs. We have an RF chamber for testing, and we house a number of test chambers for use in EMC/EMI and regulatory approvals for wireless technologies. ZigBee — NTS is a leading provider of ZigBee wireless certification for smart grid devices. We employ a proprietary transmission analysis system (ZigTest™) to provide in-depth, accurate analyses that offer total system verification, from the physical layer inward. EMI/EMC — As wireless and radio devices share bandwidth with an increasing number of components, it’s important to ensure your product won’t be negatively affected by EMI and EMF interference. NTS labs are equipped with anechoic and semi-anechoic chambers of various sizes that can perform extensive compatibility and product safety tests. Environmental/Dynamic — The NTS network includes several testing labs with Verizon ITL certification for environmental and dynamic testing. Measuring a device’s ability to withstand temperature, humidity, vibration, shock and other factors plays a key role in the development of more durable products. Count on NTS for advanced, accurate testing that can be configured to your requirements. NTS offers custom test tools, such as our ZigBee test harnesses to test wireless devices. Our engineers specialize in finding creative solutions to common testing problems. We can assess your objectives and requirements to determine a wireless certification and testing program that gets your product to market quickly. NTS has invested in some of the most sophisticated wireless testing software and equipment available today. With a network of labs across the country, we are uniquely positioned to help you meet all regulatory compliance and quality assurance requirements. Request a Quote to get started today!